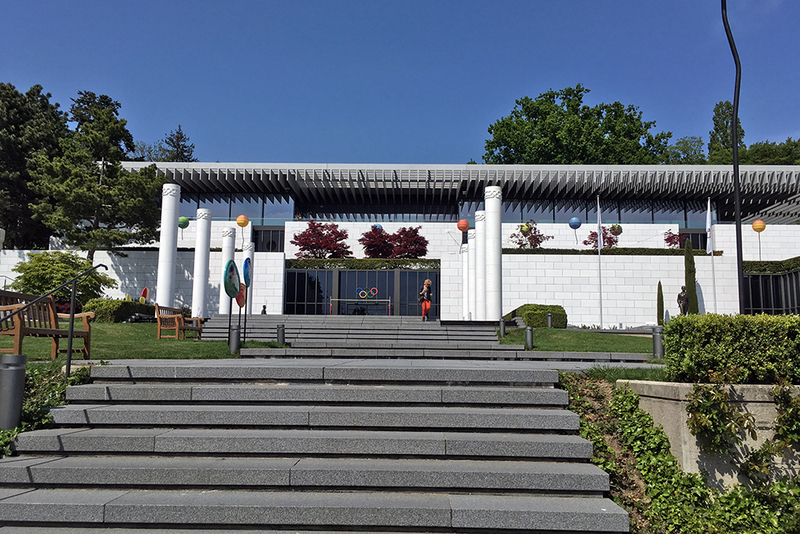 Olympic Museum in Lausanne, Switzerland. 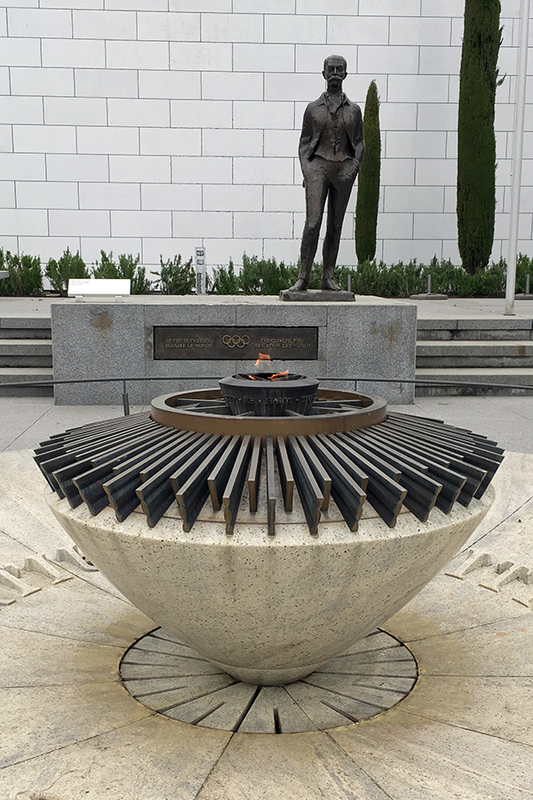 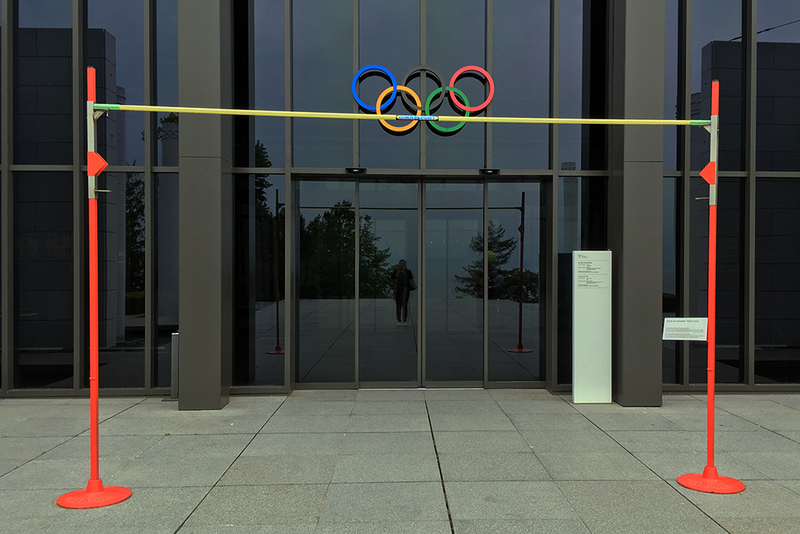 It is the second day of the Olympic Games in Rio, and I think it’ll be a fitting time to post about the time I went to visit the Olympic Museum in Lausanne, Switzerland. 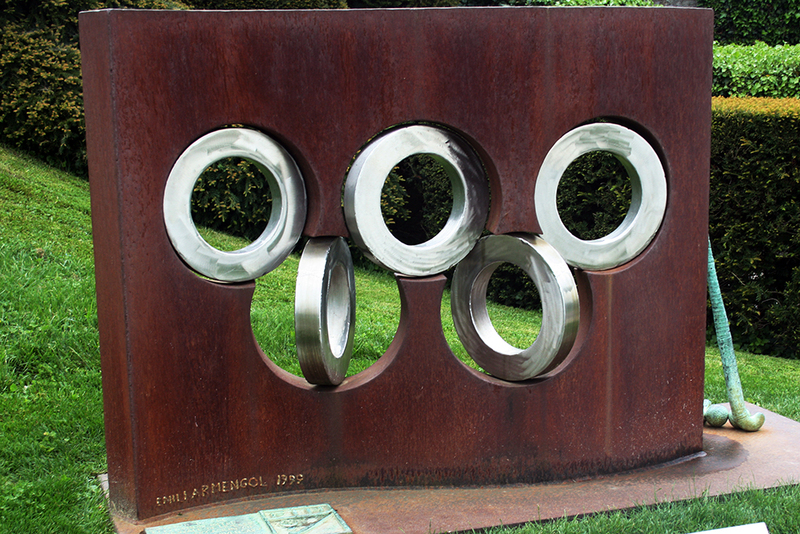 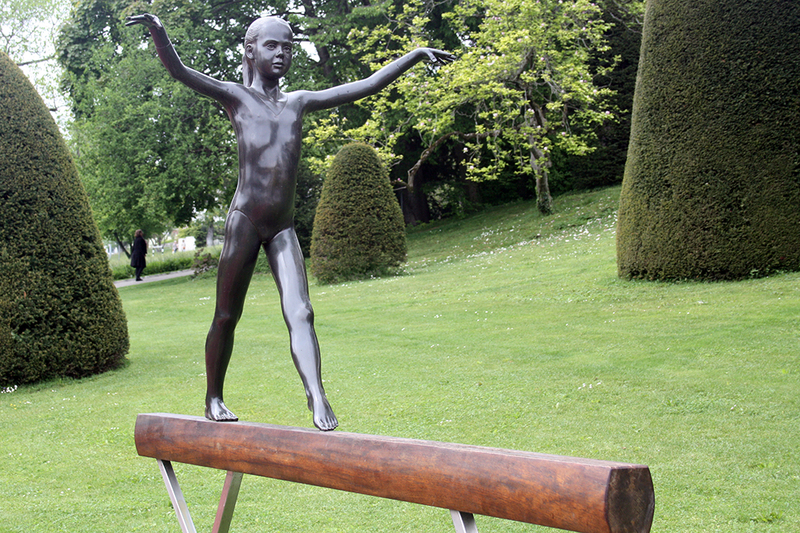 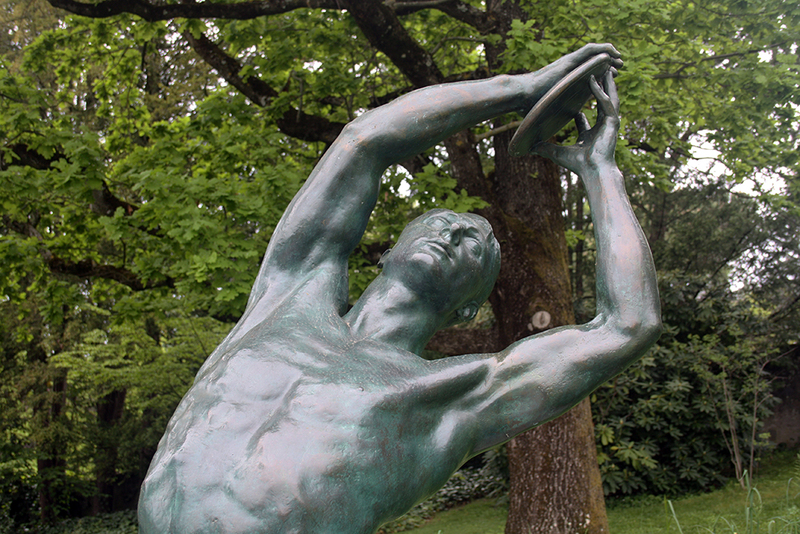 The museum was founded in 1993, and houses exhibitions relating to sport and the Olympic games. 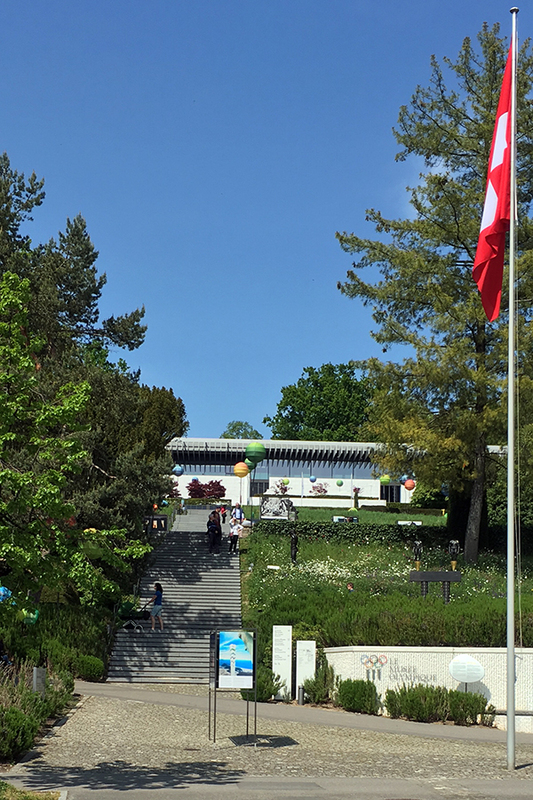 The museum and the park surrounding it is situated by the Lake (Lac Leman) and as you can see with the pictures below, it is quite a walk up a small hill to get to the building. 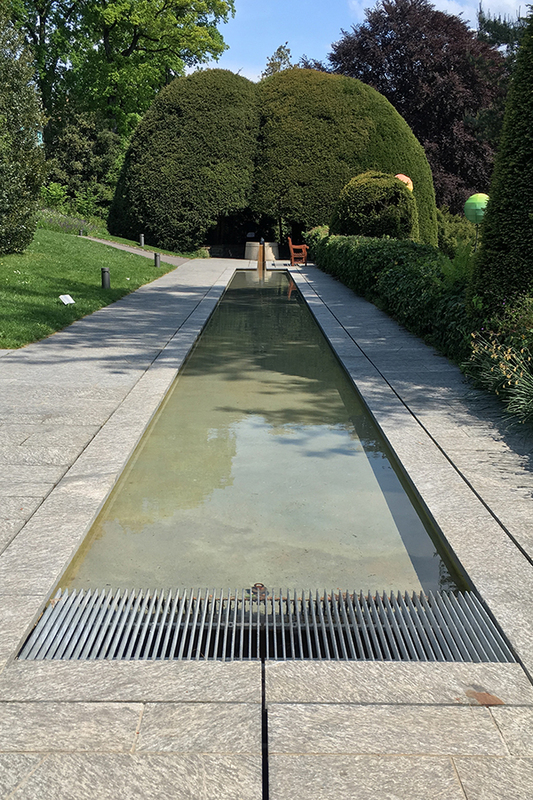 The park houses a lot of artwork related to the Olympic Games, and here are some of the pieces that caught my eye – my favourite is the pool-like pond that leads up to a big covered seated area that is very quiet and relaxing. 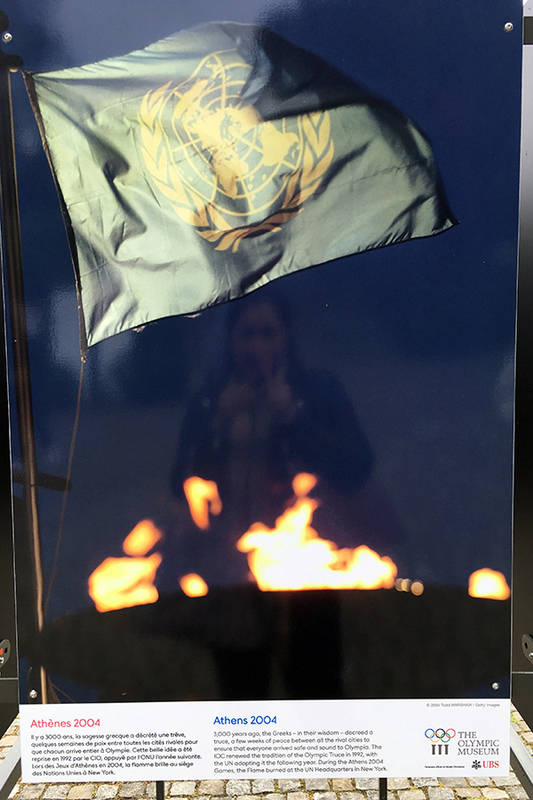 Also, the Olympic Flame and of course, the display about the Athens 2004 and how the Olympic Flame burned at the UN Headquarters in New York. 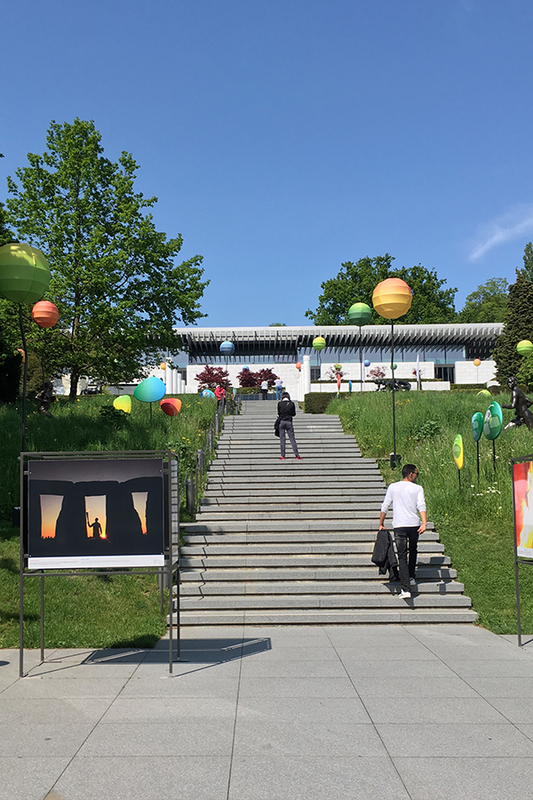 The exhibition is organised into 3 separate floors with the history of how the Olympic Games began in Ancient Greece, its modern reincarnation and its progression to what we know is the Olympic Games now. 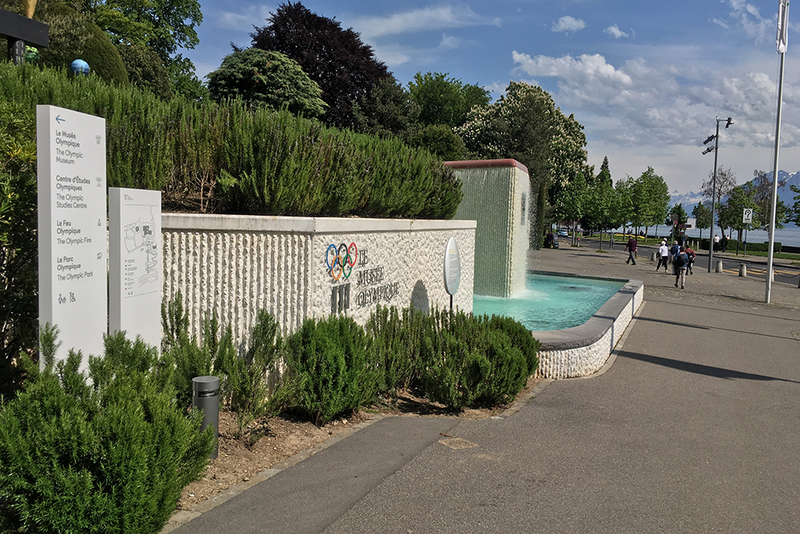 You will find sporting equipment for a variety of sports on display, and there is also a section where you can learn how athletes prepare and train for their sporting disciplines. 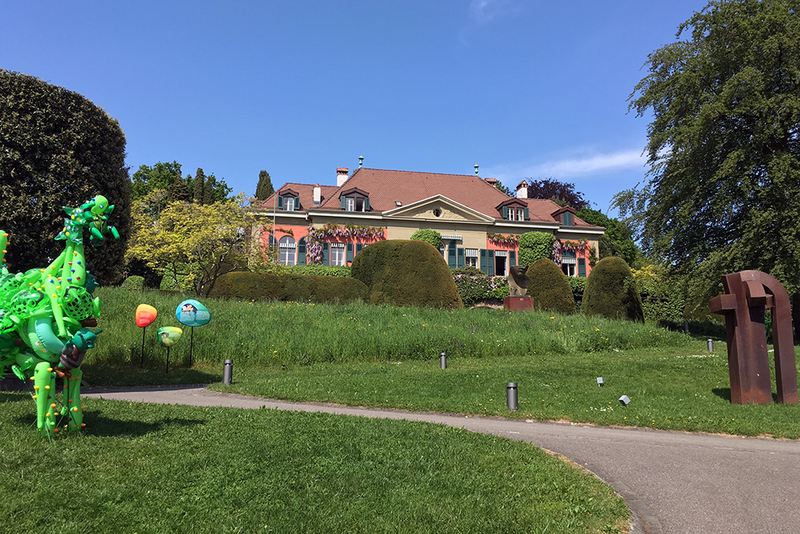 There is a wonderful café, and the shop was very enticing. 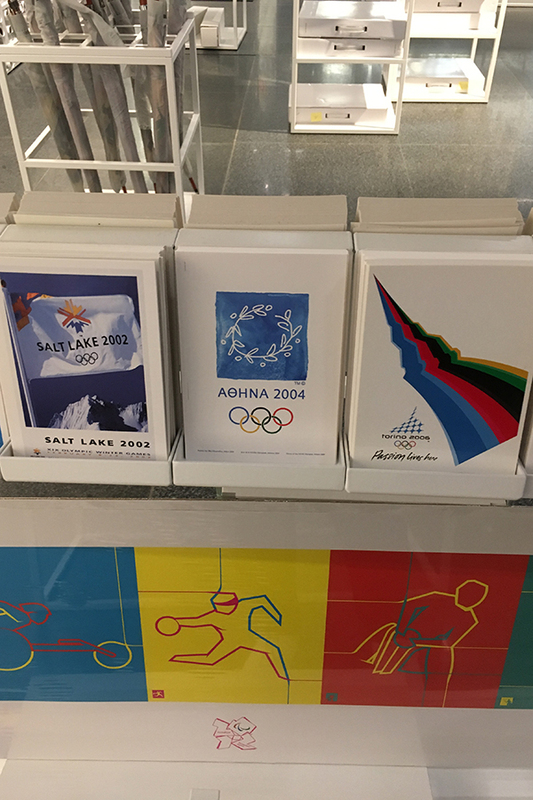 You can find products from your favourite Olympic Games – like this Athens 2004 postcard, or the one that caught my eye was the Moscow 1980 themed bag that looked very retro and trendy, in my opinion. 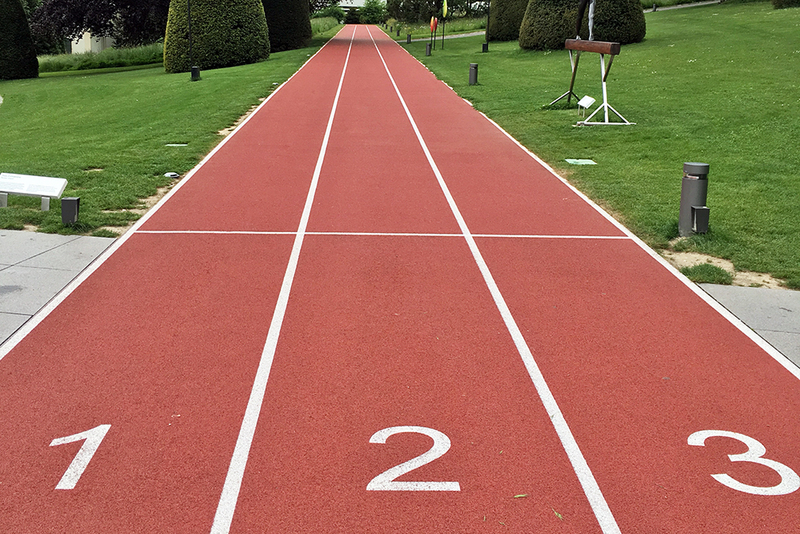 All the best to the athletes competing in Rio this year!